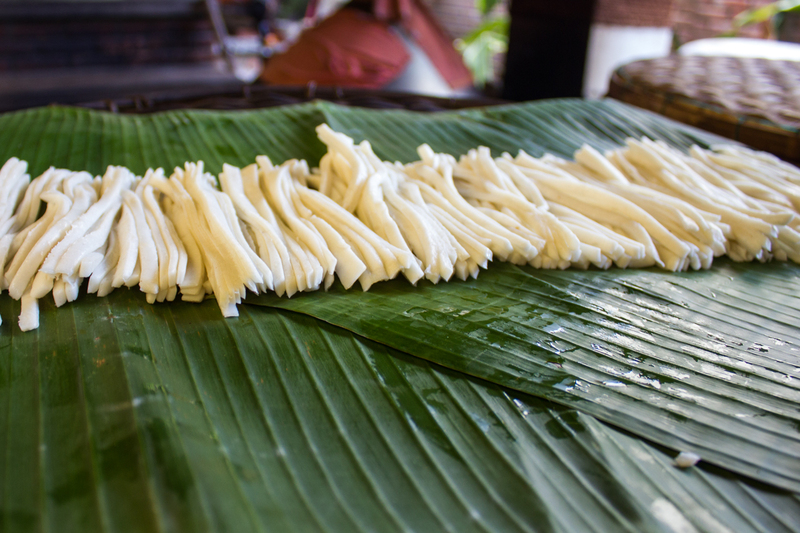 Hoi An’s most famous dish, and for all the right reasons. 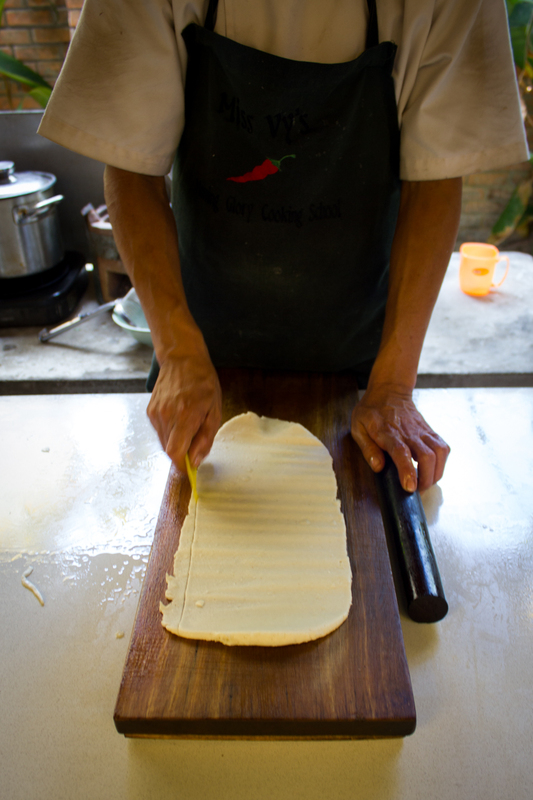 What makes this dish is the distinctly smoky, chewy, generously thick noodles that are made exclusively in Hoi An. 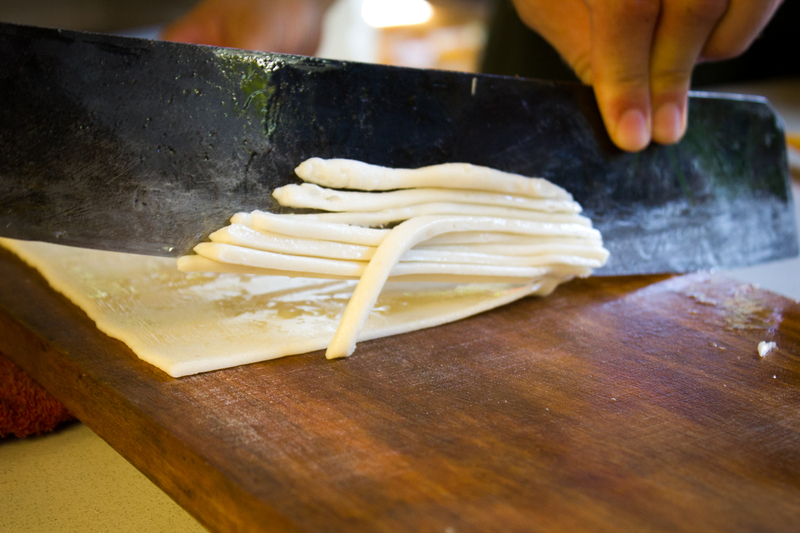 Truth is, you can follow this recipe but you’ll only be creating a fraudulent Cao Lau, since the only place on the planet you can enjoy this authentic dish (thanks to these uniquely crafted noodles) is in Hoi An itself. While you won’t be able to recreate the noodles, substituting with wheat or rice noodles can give you an idea of what this delicious dish is all about! Heat oil in pan, add lemongrass and cook slowly to release fragrance. In a bowl coat pork well in five spice, 1 tsp of the sugar, salt, pepper and garlic. Place the pork in pan with the lemongrass and sear well on all sides, being careful not to overcook garlic. Add soy sauce and 1 tsp of sugar, coat well, cook slowly and reduce 2-3 minutes. Add 1 cup stock, then cook slowly 10 minutes on each side until sauce is reduced and forms a glaze. Remove pork and set aside. Add 1 cup stock and 1 tsp of sugar to the pan, bring to boil, then turn off heat. Cut pork into thin slices. Blanch the bean sprouts in boiling water for 30 seconds, then add noodles for 30 seconds just to heat, strain well. In serving bowls, place a cup each of blanched bean sprouts, some noodles and arrange herbs/greens on edge of the bowl so they stay fresh and crunchy. Top with pork slices and pour 2 small ladles of sauce over pork before garnishing with chili slices and limes. Serving Suggestion: Serve with rice crackers and soy sauce on the side.